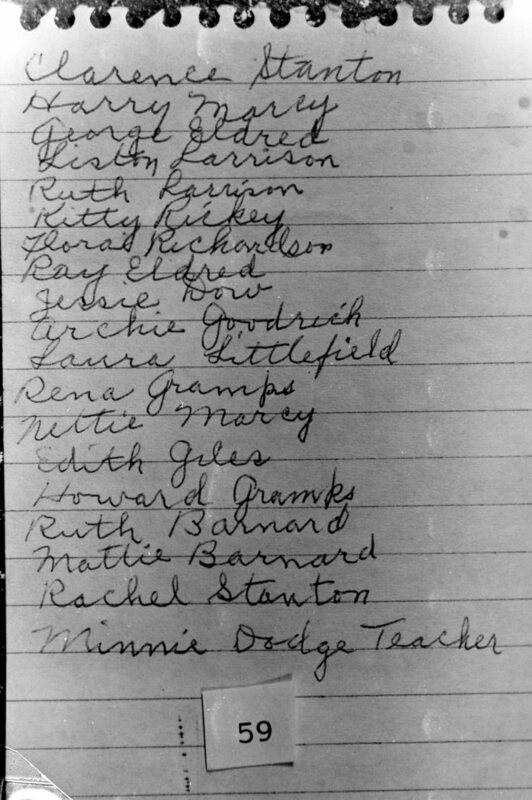 December 14, 2018 December 13, 2018 Linda Reimer Corning, Corning NY, Local History, New York State History, Public Library, Southeast Steuben County Library, Southern Tier. Our first photo is of the Baron Steuben Hotel. The photo was taken in 1928, and it seems the hotel was undergoing some type of maintenance since the photo shows scaffolding on the side of the building. And aren’t those cars cool! Vintage cars are always worth a look! 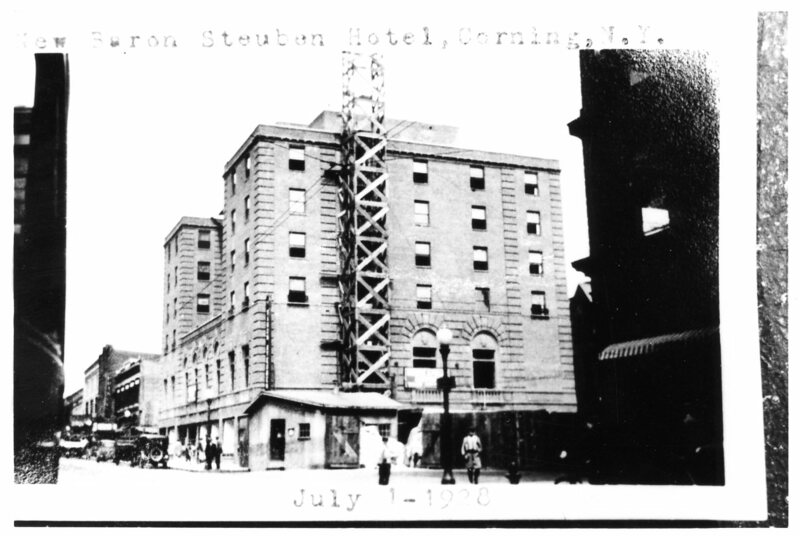 If you have any stories about the Baron Steuben Hotel, please feel free to share them with us! Our second photo for this week is of a building always close to my heart! It is photo of the old World War Memorial Library building on the corner First and Pine Streets in Corning. The building was re-purposed and turned into a library after the fire of 1926. 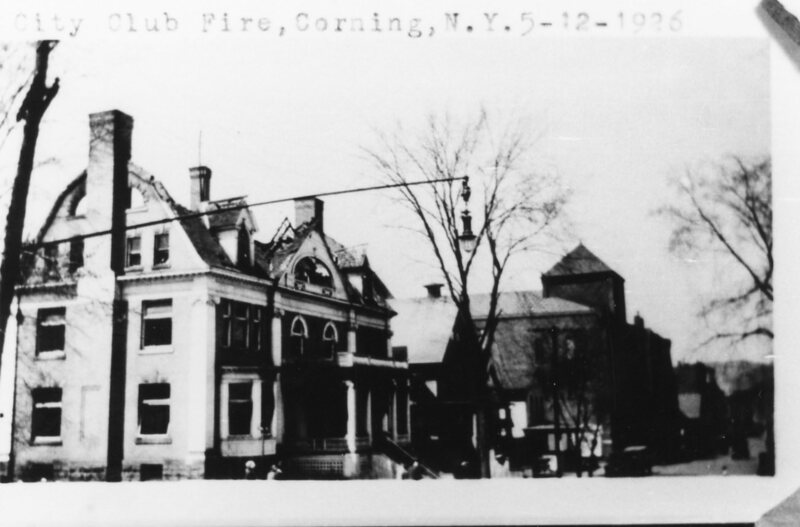 Prior to 1926 the building housed the Corning City Club House. And a cool little side note is that you can see the long gone Corning Opera House, located on the same side of the street as the Club House/Library in the background. December 7, 2018 December 7, 2018 Linda Reimer Corning, Corning NY, Local History, Marching Band, New York State History, Pier's Corning Marching Band, Presbyterian Church, Public Library, Southeast Steuben County Library, Southern Tier. 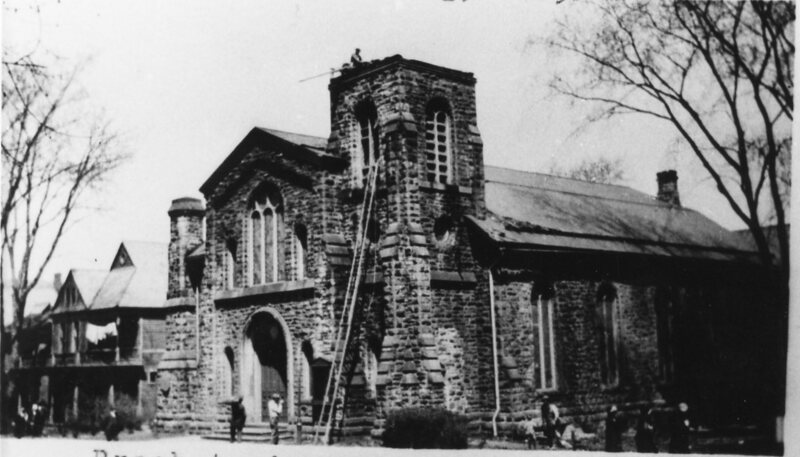 Our first photo for this week is of the Presbyterian Church in Corning, either after a fire in the bell tower, or, while the bell tower was being constructed. And I must admit I can’t tell from the photo which situation has unfolded! If you can tell by looking at the photo, or if you know if there was a fire at the Presbyterian Church at some time in the past – please let us know. 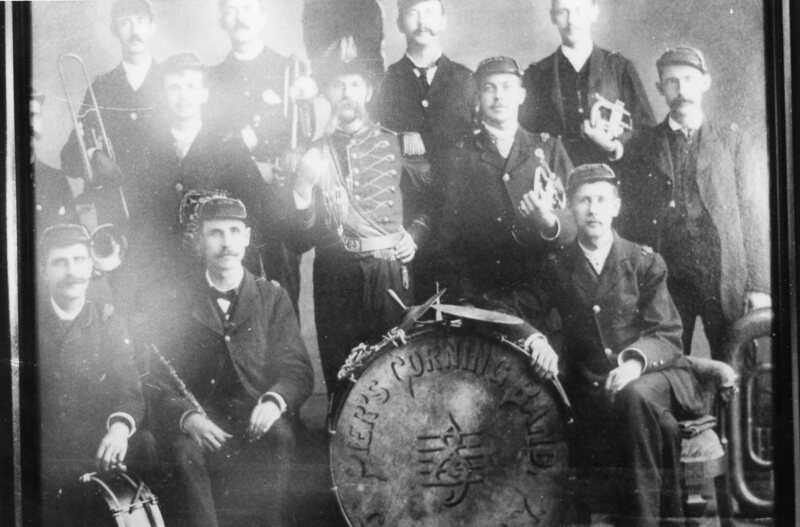 Our second photo for this week is a cool one of Pier’s Corning Marching Band at some time in the past. If you know anything about Pier’s Marching Band – let us know. November 30, 2018 November 29, 2018 Linda Reimer Corning, Corning NY, Local History, New York State History, Public Library, Southeast Steuben County Library, Southern Tier. Our first photo for this week shows part of a city block bordered by an old Corning viaduct. Looking at the cars we can guess the photo was taken in the 1930s. 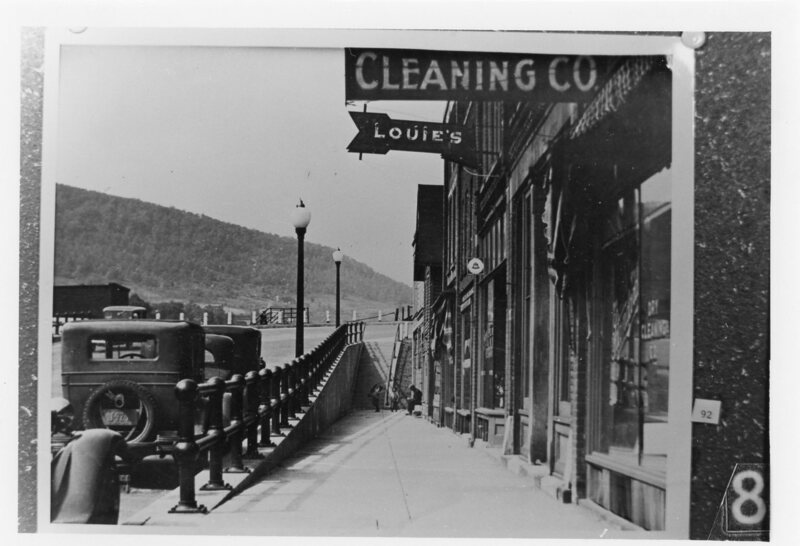 And if you look closely at the photo you can see a sign for a telephone as well as larger signs for Louie’s and a Cleaning Company. Where the viaduct was located is a mystery. But I bet someone out there remembers this viaduct! So if you know where the viaduct shown in the photo was and when it was torn down let us know! 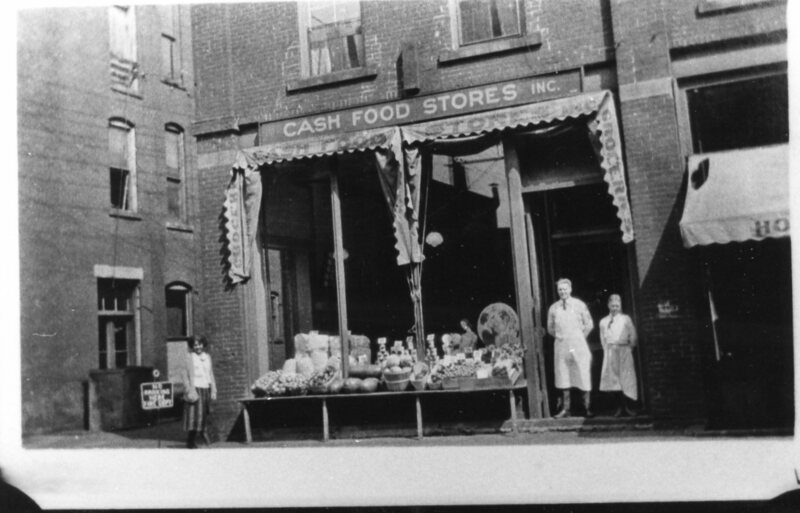 Our second photo for this week is a neat one of a local store that sold food for cash. Where the store was located remains a mystery – but what a cool shot! You can see the variety of food in baskets in front of the store and two of the three people shown are actually smiling for the camera. November 2, 2018 October 31, 2018 Linda Reimer Corning, Corning NY, Local History, New York State History, Public Library, Southeast Steuben County Library, Southern Tier. 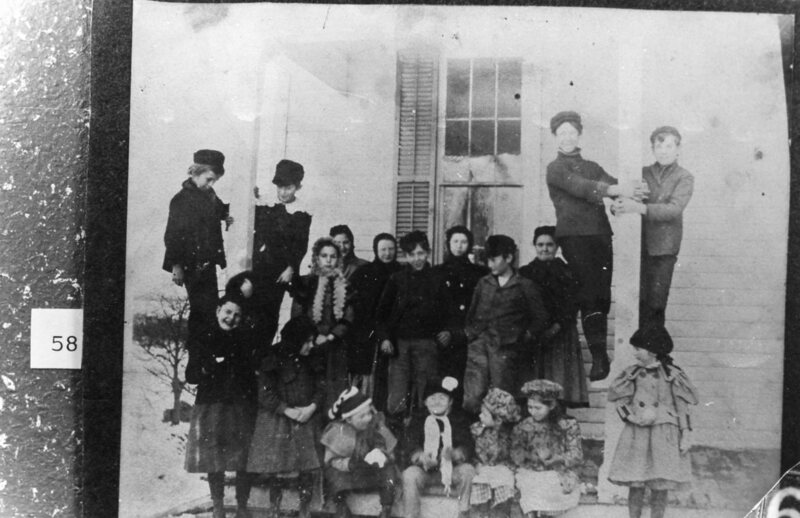 Our first photo for this week shows a group of local school kids in the early Twentieth Century. They look like they are having a good time! Especially the boys hanging on to the pillars. The Bonus photo puts names with the faces — from left to right. So this time around, we know who is who in this photo! 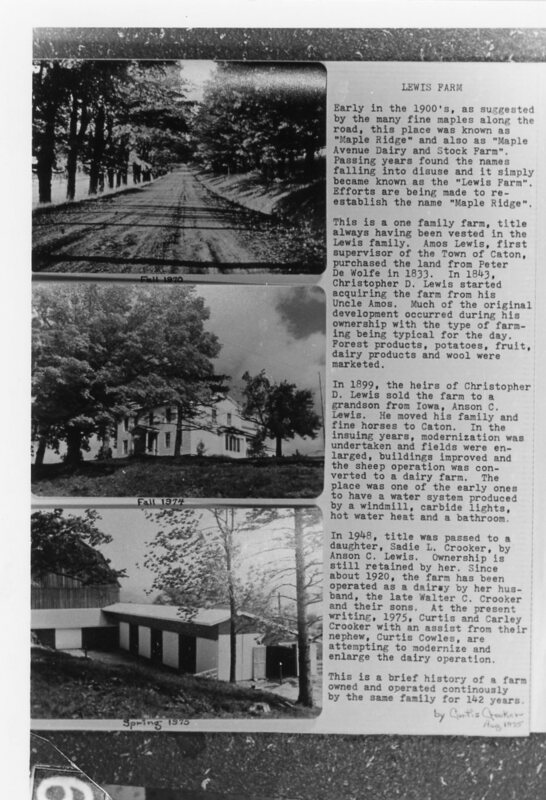 Our second photo for this week offers a brief history, and three photos of the Lewis Farm. From the history, I believe the Lewis Farm, was/is located in Caton. If you know anything about the Lewis Farm, and I’m betting someone out there does, please let is know. October 26, 2018 October 26, 2018 Linda Reimer Corning, Corning NY, Local History, New York State History, Public Library, Southeast Steuben County Library, Southern Tier. This photo is another photo taken of a photo. However, it is a neat one! 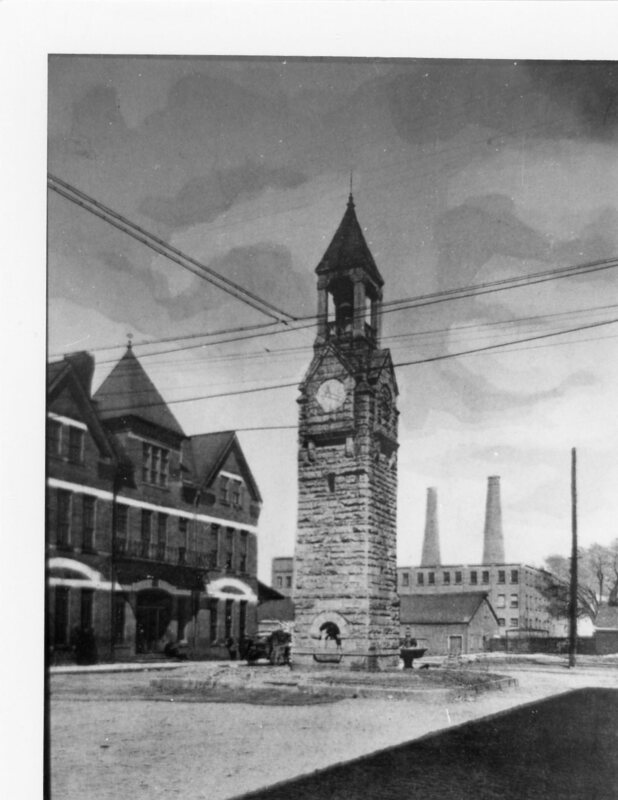 It shows the Clock Tower in the foreground and a Corning Glass factory in the background. 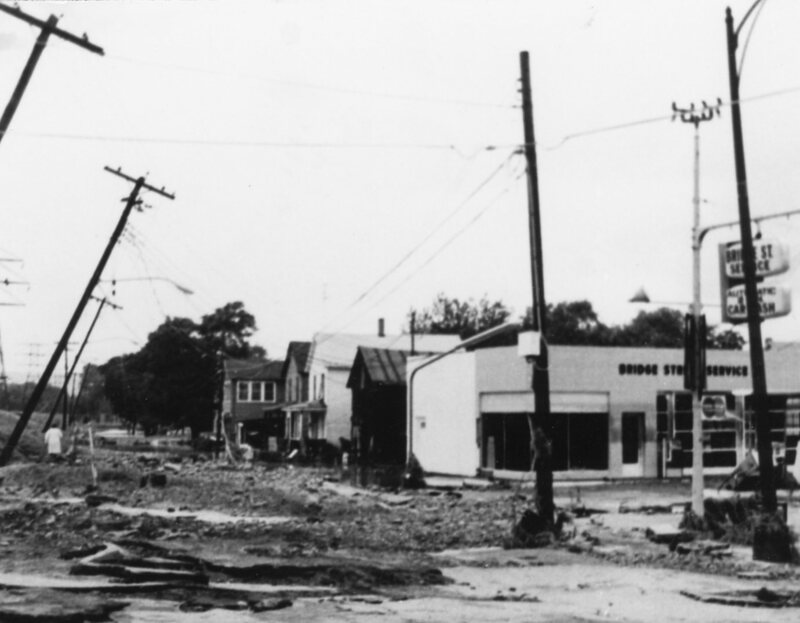 Our second photo for this week shows the Bridge Street Service Station after the Flood of 1972. The photo offers us a view looking westward, past what today would be part of the grounds of the Corning Senior Center. October 19, 2018 October 19, 2018 Linda Reimer Corning, Corning NY, Local History, New York State History, Public Library, Southeast Steuben County Library, Southern Tier. 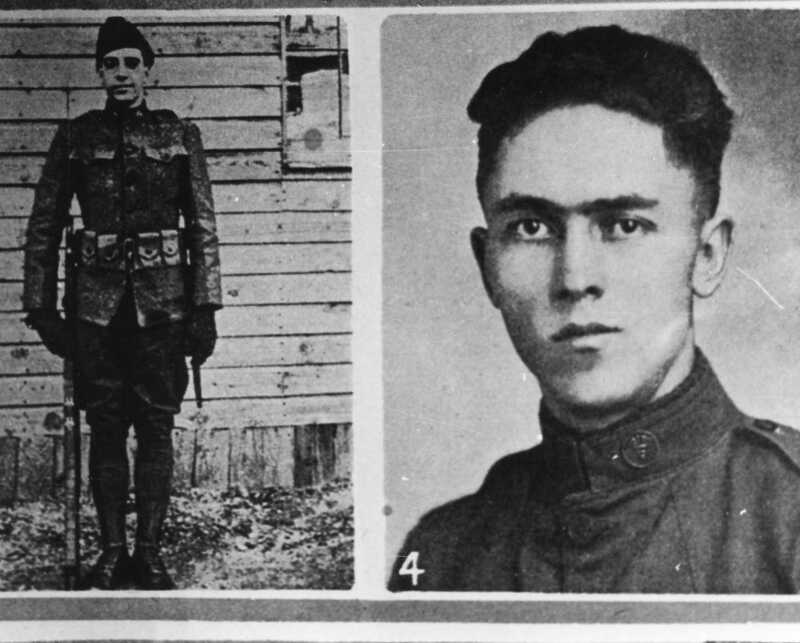 Our first photo for this week is a duo-photo showing two shots of the same World War I era solider. He certainly strikes a smart pose in his uniform! 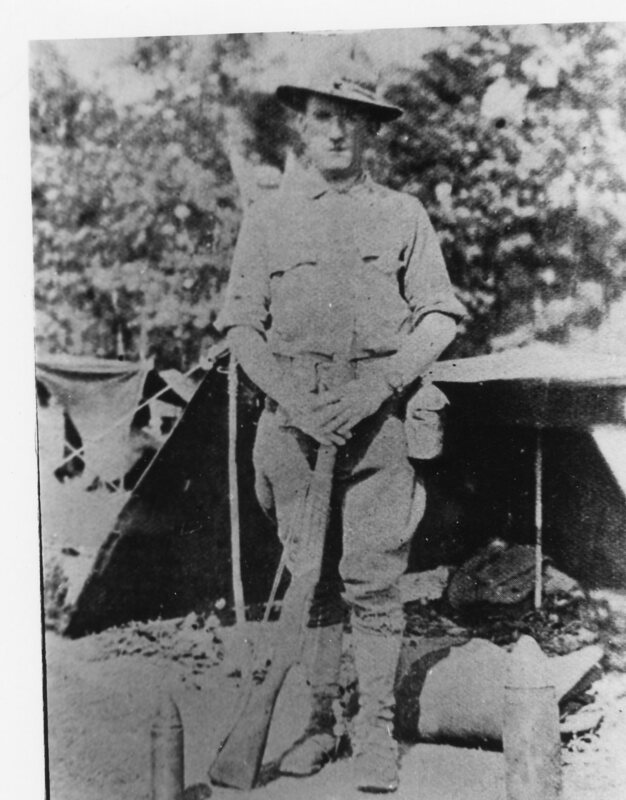 Our second photo for this week, also features a local man who was a World War I era solider. The photo of this young solider appears to have been taken at an army camp. And this solider too looks smart in his uniform. If you recognize either of the young soldiers in these photos, please let us know! October 12, 2018 October 12, 2018 Linda Reimer Corning, Corning NY, Local History, New York State History, Public Library, Southeast Steuben County Library, Southern Tier. 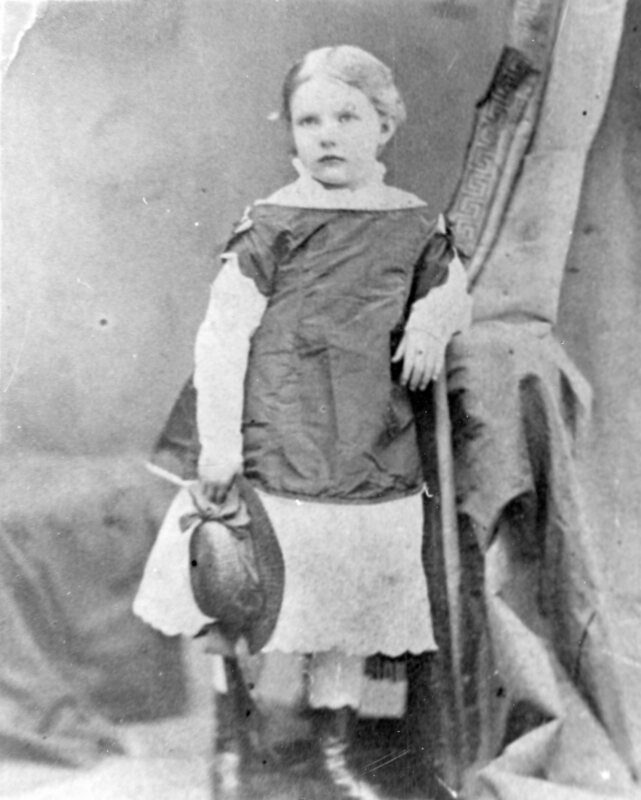 Our first photo for this week shows a young girl in a formal shot. By the look of the clothing, I’m guessing this photo was taken at the turn of the Twentieth Century. Our second photo for this week is of a postcard, and unlike our first photo, there is no mystery here! 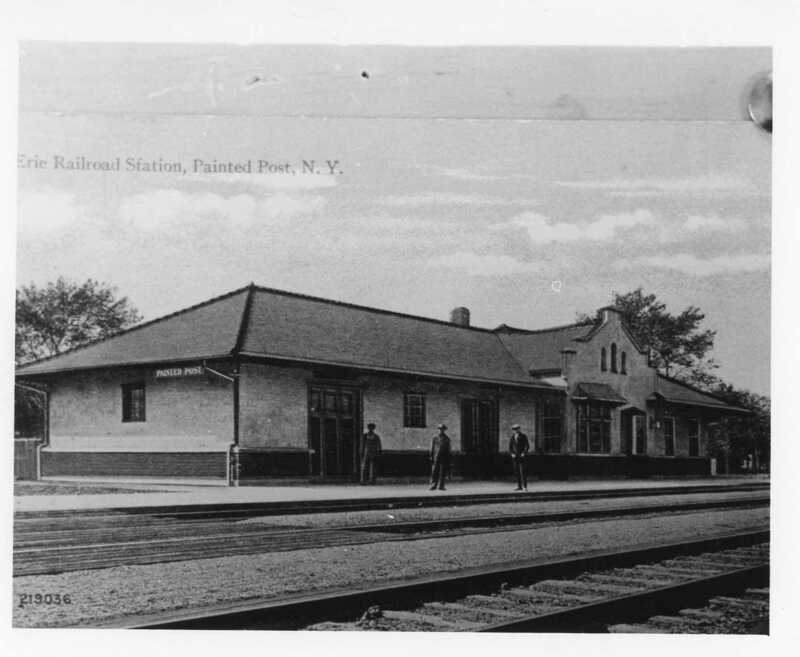 This photo shows the old Erie Railway Station in Painted Post!